Being a huge fan of Sergio Leone's films I was really interested in getting to know more about him, where he grew up, his home life and the many ideas behind his incredible works of cin ema. 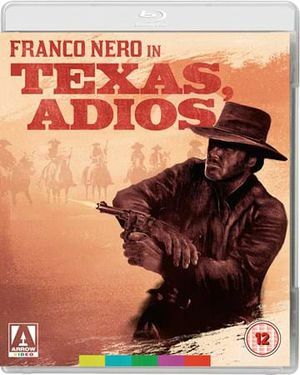 With Something To Do With Death (2000), Leone expert Sir Christopher Frayling traces Sergio's childhood in Italy to his first jobs working in film through his own directorial works which included such masterpieces as The Good, The Bad and The Ugly (1966), Once Upon A Time In The West (1968) and his last film Once Upon A Time In America (1984) until the final days before his death in 1989. This book is of course very educational and informative. It is split into 12 chapters which delve into the most poignant and interesting periods in Il Maestro's lifetime. by Pete Roberts. Reprinted with permission. Originally published at Cult Clash. No unauthorized copying or republishing without permission. While many of Leone's contemporaries like Bernardo Bertolucci and Federico Fellini made more intellectual neo-realist films, Leone wanted to create fantastic st ori es and work in certain genres. He later would be called the first 'post modern' director meaning that he both commented on the many films he saw while reinventing the genres (westerns, crime) he worked in. Leone is also known as the Father of The Spaghetti Western. While there actually w ere several made before Leone's A Fistful of Dollars (1964) was released, Leone truly took the Italian take on the Hollywood Western genre into a completely different place both storywise and visually. Leone's charact ers were not black and white or all go od or all bad, they were more ambiguous. The music in the films, composed by the legendary Ennio Morricone also had a huge impact on auduences, if Leone's movies couldnt be seen, a few bars from Morricone's scores an d an yone around the world would know wh at it was from. Along with Leone's stunning visual style which often mixed the extreme close up with wide shots showing the vast landscapes of Spain, the two were a match made in movie heaven. An interesting fact t hat m any may not know is that Leone and Morricone attended the same school with one another as children but had never formally been friends. Sergio Leone was born in Rome, Italy in 1929. His mother, Edvige Valcarenghi was a silent movie actress. She la ter qu it the film business after marrying Vincenzo Leone in 1916. Vincenzo (stage name Roberto Roberti) was an actor/director in the silent era. After being prevented from working in the film industry during the 1930s by Italy's facist regime (he was able to film three films between 1939 and 1945), he tried to discourage Sergio from entering the cinema world. Sergio studied law for a short time before working as an unpaid assistant on Vittorio DeSica's classic film The Bicycle Thief in 1948. Sergio even made a brief appearance as a German priest. In the 1950s, Leone worked on approximately 50 Italian and American films. During this time, Hollywood productions would shoot in Italy to take advantage of the cheap facilities. Leone's film credits from that time include: The Nun's Story (1959), Helen of Troy (1955) and Ben-Hur (1959). Note: Leone worked as second unit action director who shot the great chariot race in the film. Leones first directing job was in 1959 when he helped finish his mentor Sergio Bonnard's film The Last Days of Pompeii. The film was later released under Bonnard's name but its great success at the box office helped Leone get his first true directing credit on The Colossus of Rhodes (1960). 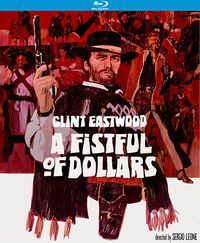 In 1964, Leone made his first Italian Western called A Fistful of Dollars. It starred Clint Eastwood (an TV actor on Rawhide) as the lead character who became known as 'The Man with No Name'. Leone didn't play by the rules of the conventional Western aesthetics. It was clear right from the opening credit s of A Fistful of Dollars that Leone wasn't interested in simply imitating American Western conventions. 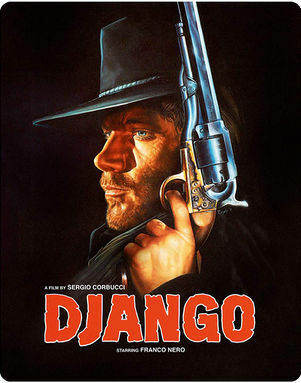 He also hired an old classmate Ennio Morricone to score the film. With a strange mix of gunshots, guitars and whipcracks, Morricone made a perfect audio accompaniment to Leone's surrealistic imagery and use of genre conventions. While many Spaghetti Westerns were made to make Spanish locations look like the American-mexican region, Leone's style of widescreen shots of the Spanish countryside gave his films a slightly alien feel. Leone was a great fan of surrealist art and it comes as no surprise that Leone shot many of films on the same locations as Salvador Dali used in many of his nightmarish images in the 1930s. Leone also cranked up the traditional unshaven image of the Western villain, filling his films with an array of bearded, over-the-top Italian actors who leered at the camera and laughed at their own acts of brutal violence. In 1965, Leone released For A Few Dollars More, again st arring Clint Eastwood as the mysterious Man With No Name. 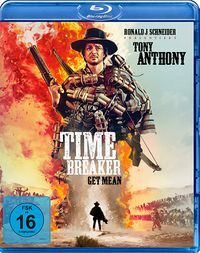 In this semi-sequel The mysterious gunslinger teams up with an aging bounty killer named Colonel Mortimer (Lee Van Cleef) to track down a psychotic bandit played by Gian Maria Volonte. The film is brilliantly crafted, humorous and gives yet anoth er twisted spin to the classic American Western. There are no true heros in Leone's westerns. The line is blurred between good and bad most of the time. The final installment of Leone's 'Dollar Trilogy' came in 1966. The Good The Bad And The Ugly was the biggest epic Leone had done so far. It followed The Man With No Name aka Blondie (Clint Eastwood) as he teams up with the conniving bandit Tuco (Eli Wallach). The pair doublecross each other throughout the film, (which is set against the backdrop of the Civil War) but finally make peace (at least for awhile) after they discover the wherabouts of a buried stash of Civil War heisted gold coins. Each man only knowing half the information of where its buri ed and in what grave specifically. 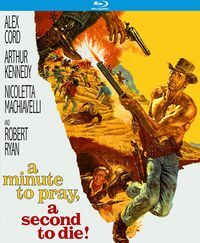 Problems arise whe n the evil Sentenza (Lee van Cleef) also finds out about the gold and wants in on the deal. The Good The Bad and The Ugly showcased some of Leone's most creative set pieces and some of the most memorab le music by master composer Ennio Morricone. While Eastwood left The Italian Western genre for good after The Good The Bad and The Ugly, Lee Van Cleef became the king of them. He made around 10 more great Italian Westerns including: Sabata (1968), Day of Anger (1969) and The Big Gundown (1970). Leone's most startling use of an American actor was in his fourth Western, Once Upon a Time in the West (1969). The financial backing from Paramoun t allowed Leone to fulfill his long time ambition to work w ith legendary actor Henry Fonda. Leone transformed the traditionally clean-shaven hero of American cinema into a blue-eyed, stone cold killer. Once Upon A Time in The West told the story of an e x-prostitute named Jill (Claudia Cardinale) whos new family i s murdered before she even meets them. She must decide whether or not to help fulfill her dead husbands dream of creating a new town or not along with help from grungy bandit Cheyenne (Jason Robards) and the mysterious and deadly Harmonica (Charles Bronson). Once Upon a Time In The West was more serious in tone than Leone's past films were and it was at the same time his biggest homage to all the Hollywood Westerns he loved so much. 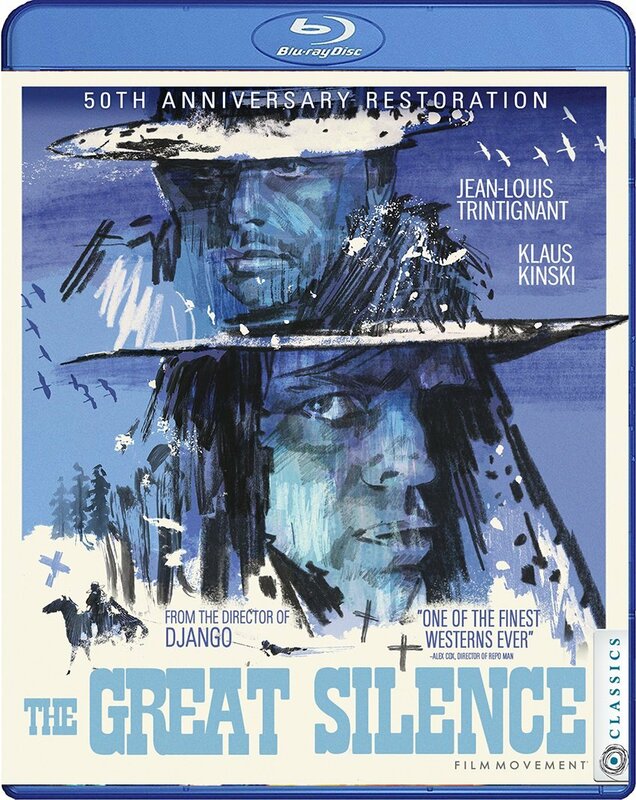 The film i s basically one big love letter to the Western genre with visual and thematic references to everything from John Ford's Stagecoach to Johnny Guitar. 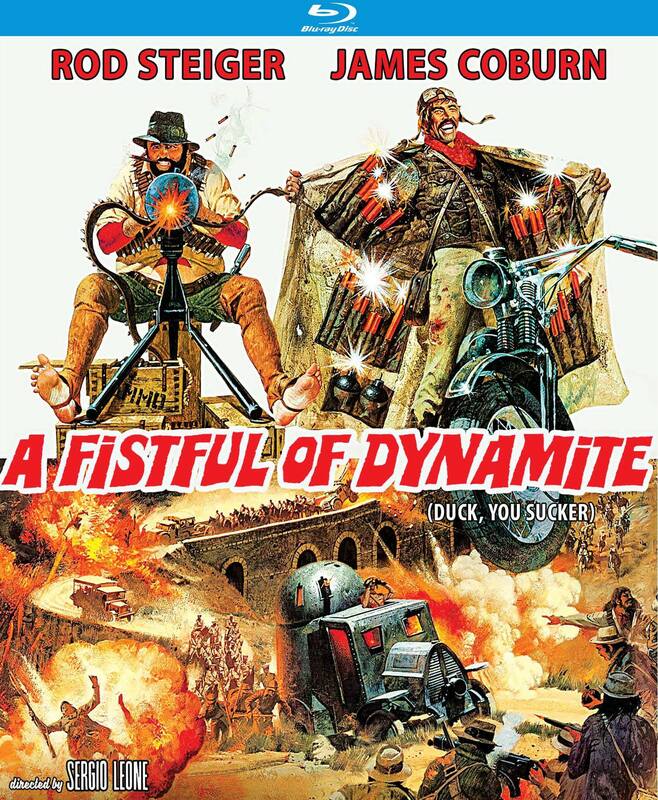 Leone shot his next film Duck, You Sucker aka Fistful of Dynamite in 1971. It starred the great Rod Stei ger as a mexica n bandit named Juan and James Coburn as an Irish explosives expert named Shawn. The film was set during the Mexican revolution (the term Zapata Western was given to this subgenre of Italian Westerns), and is related to some of the more lef t-wing Italian W esterns of the period, such as A Bullet for the General directed by Damiano Damiani in 1966. Leone had originally intended to just produce Duck, You Sucker, and his decision to take over directing the film several days after shooting had started possibly contributed to its uneven quality. But despite th ese things, it does feature some of Leone's most interesting set-pieces and camerawork, not to mention great his trademark humor. In 1983, Leone began shooting his American crime opus Once Upon a Time in America. The film was based on The Hoods, a 1952 au tobiographical account of criminal life during Prohibition. The film starred Robert DeNiro, James Woods and Elizabeth McGovern. It showed Leone's romanticized vision of the Gangster films of the 30s and 40s. The strain of shooting the film in 1982-83 worsened an already serious heart condition, and the legal battle he endured with the studio in trying to preserve the film's 228 minute running time further eroded his health. Despite bein g a huge hit at the Cannes Film Festival which premiered the original cut of the film, for its American release, The Ladd Company cut 84 minutes from the film, and re-edited the carefully constructed cross-cutting between three different time zones into a messy narrative. Thankfully, Leone's original cut is still available on home video. Although he remains a controversial figure in critical circles, Leone's stylistic influence is everywhere in '90s American cinema, from Back to the Future Part III (1990) to the work of Quentin Tarantino (Pulp Fiction, Kill Bill) and his friend, Director Robert Rodriguez (Once Upon a Time in Mexico). 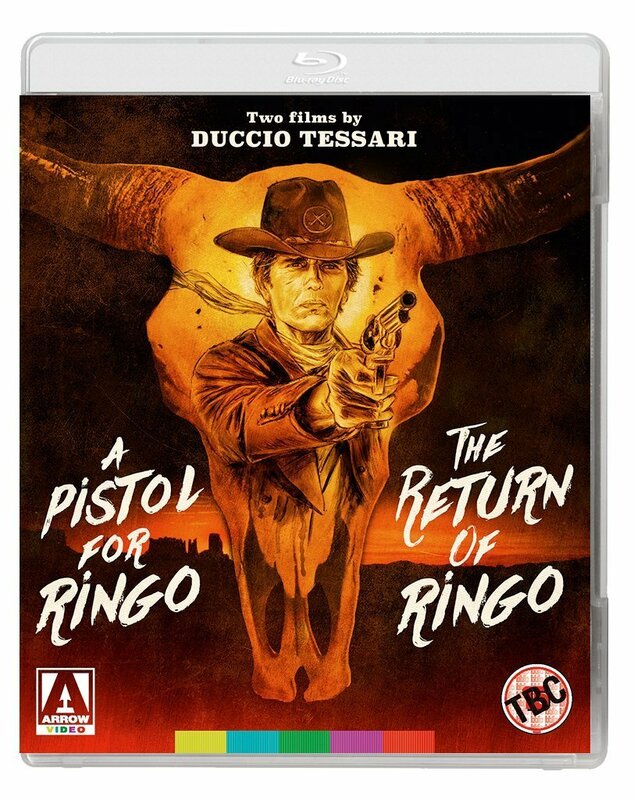 The Leone style, some forty years after he made his first Western, has become absorbed into the same mythology of twentie th century cinema to which so much of his work was devoted to exploring. This page was last modified on 2 November 2015, at 09:05.